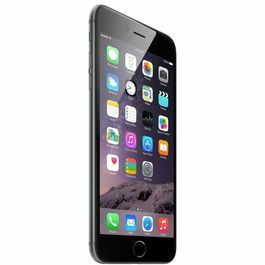 Apple iPhone is a valuable gadget to possess. 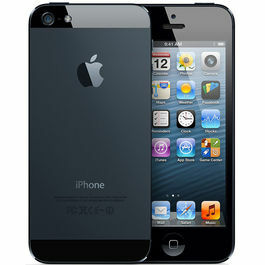 With iPhone 4S 8GB you can talk, listen to music, capture HD videos, enjoy using the apps and do much more! iPhone 4S has a retina display with a 3.5 inch (diagonal) widescreen with multi-touch gives you larger than life view of everything. All things that you view on this phone come alive in all its brightness and clarity as it has 960 X640 pixel resolution at 326 ppi. The display has the 800:1 contrast ratio (typical) and 500 cd/m2 max brightness (typical). The screen has fingerprint-resistant oleophobic coating on front and back so you can carry it everywhere and anywhere you go without getting worried about scratches or finger print marks. Also reap the advantage of using your regional language as this phone supports display of multiple languages and characters simultaneously. the all new iPhone 4S is powered by the A5 Chip that gives stupendous speed and performance to your iPhone while allowing you to do multi-tasking with ease. 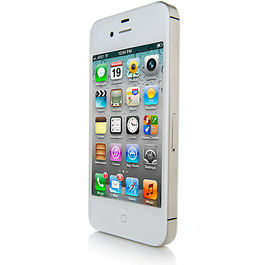 Capture the best images with the iPhone 4S 8 megapixel iSight camera. It has the LED Flash that gives you brighter pictures and allows capturing pictures in any lighting situation. It has other superb features like Autofocus, Tap to focus, Face detection in still images, photo and video geo-tagging. It allows video recording of 1080p HD at 30fps with clear audio and great clarity as it has video stabilization. It has also been enabled with Hybrid IR filter. iPhone 4S 8GB also features a front VGA camera for taking self portraits and video calls. You can also capture the beauty of the entire landscape view with its panorama shot taking ability. iPhone 4S is truly a world phone! The phone supports wide range of services UMTS/HSDPA/HSUPA (850, 900, 1900, 2100 MHz); GSM/EDGE (850, 900, 1800, 1900 MHz), CDMA EV-DO Rev. A (800, 1900 MHz) 4 making it compatible to use it all around the world. This beautifully designed Apple iPhone 4S 8GB can be easily connected to internet with Wi-Fi as it is compatible with Wi-Fi 802.11b/g/n and 2.4GHz only. Its Bluetooth of 4.0 wireless technology can connect the device to other Apple products. This phone supports 3G and with the help of the Safari Browser you experience a new world of exploring the internet. You can access the internet much faster and can tweet the web pages, directly pot them to Facebook and you can even share them through Email. With Apple iPhone 4S in your hand there’s never a dull moment! You can use the App Store to download games, music, interactive apps and much more. You can download movies and videos from the iTunes Store. You can also use the Face time App to do video chats. The iMovie App allows you to download and watch your favorite movies online hence enabling you to even see the movies on iPhone 4S. Other applications that are free from Apple are iPhoto, Keynote, Pages, Numbers, iBook, etc. It has built-in rechargeable lithium-ion battery which gives it a talk time availability of 8 hrs on 3G (GSM) and 14 hrs on 2G (GSM). It has a stand by time of 200 hrs. While using Audio Playback it runs for approximately 40 hrs and videos playback for 10 hrs. Using Internet on 3G can run for 6 hrs and up to 9 hrs via Wi-Fi. This iPhone has a memory storage capacity of 8 GB where you can store your photos, favorite music, videos and a lot more. 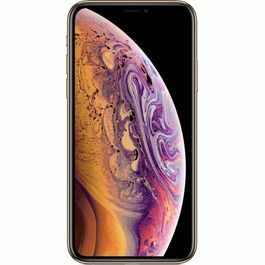 Apple iPhone is a valuable gadget to possess. 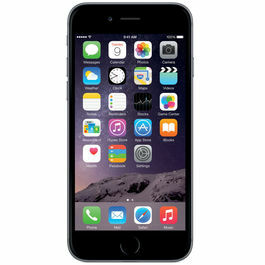 With iPhone 4S 8GB you can talk, listen to music, capture HD videos, enjoy using the apps and do much more!DisplayiPhone 4S has a retina display with a 3.5 inch (diagonal) widescreen with multi-touch gives you larger than life view of everything. All things that you view on this phone come alive in all its brightness and clarity as it has 960 X640 pixel resolution at 326 ppi. The display has the 800:1 contrast ratio (typical) and 500 cd/m2 max brightness (typical). 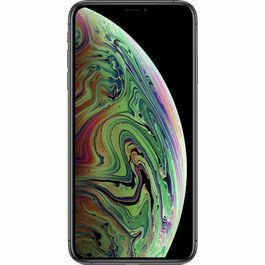 The screen has fingerprint-resistant oleophobic coating on front and back so you can carry it everywhere and anywhere you go without getting worried about scratches or finger print marks. Also reap the advantage of using your regional language as this phone supports display of multiple languages and characters simultaneously. A5 Chipthe all new iPhone 4S is powered by the A5 Chip that gives stupendous speed and performance to your iPhone while allowing you to do multi-tasking with ease. CameraCapture the best images with the iPhone 4S 8 megapixel iSight camera. It has the LED Flash that gives you brighter pictures and allows capturing pictures in any lighting situation. It has other superb features like Autofocus, Tap to focus, Face detection in still images, photo and video geo-tagging. It allows video recording of 1080p HD at 30fps with clear audio and great clarity as it has video stabilization. It has also been enabled with Hybrid IR filter. iPhone 4S 8GB also features a front VGA camera for taking self portraits and video calls. You can also capture the beauty of the entire landscape view with its panorama shot taking ability. ConnectivityiPhone 4S is truly a world phone!The phone supports wide range of services UMTS/HSDPA/HSUPA (850, 900, 1900, 2100 MHz); GSM/EDGE (850, 900, 1800, 1900 MHz), CDMA EV-DO Rev. A (800, 1900 MHz) 4 making it compatible to use it all around the world. This beautifully designed Apple iPhone 4S 8GB can be easily connected to internet with Wi-Fi as it is compatible with Wi-Fi 802.11b/g/n and 2.4GHz only. Its Bluetooth of 4.0 wireless technology can connect the device to other Apple products. This phone supports 3G and with the help of the Safari Browser you experience a new world of exploring the internet. You can access the internet much faster and can tweet the web pages, directly pot them to Facebook and you can even share them through Email. ApplicationsWith Apple iPhone 4S in your hand there’s never a dull moment!You can use the App Store to download games, music, interactive apps and much more. You can download movies and videos from the iTunes Store. You can also use the Face time App to do video chats. The iMovie App allows you to download and watch your favorite movies online hence enabling you to even see the movies on iPhone 4S. Other applications that are free from Apple are iPhoto, Keynote, Pages, Numbers, iBook, etc. Memory and BatteryIt has built-in rechargeable lithium-ion battery which gives it a talk time availability of 8 hrs on 3G (GSM) and 14 hrs on 2G (GSM). It has a stand by time of 200 hrs. While using Audio Playback it runs for approximately 40 hrs and videos playback for 10 hrs. Using Internet on 3G can run for 6 hrs and up to 9 hrs via Wi-Fi. This iPhone has a memory storage capacity of 8 GB where you can store your photos, favorite music, videos and a lot more. 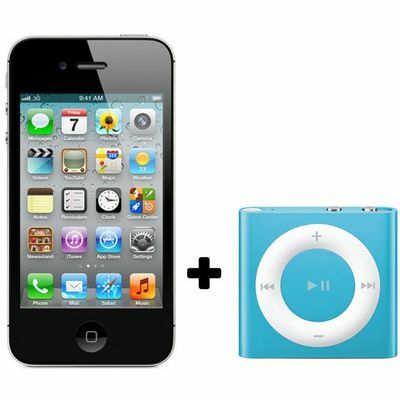 The color of iPod shuffle matter to be availability.